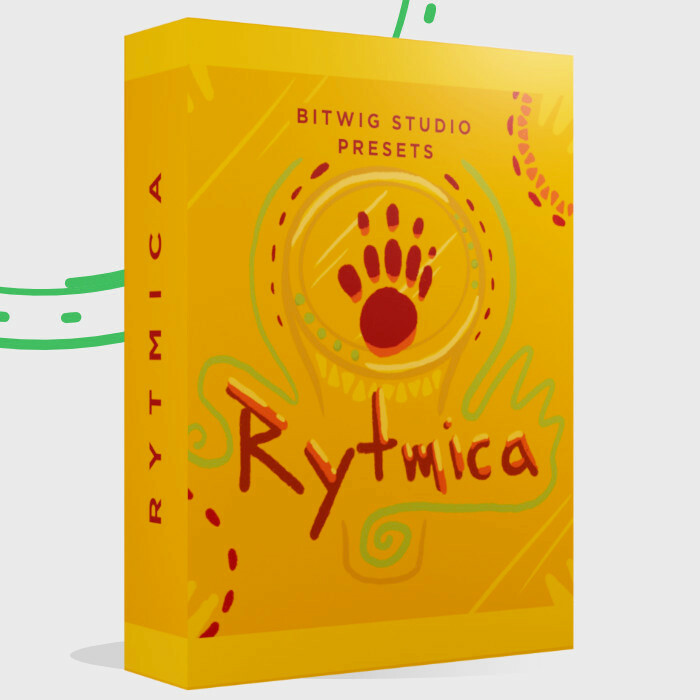 Welcome to Rytmica, a brand new Bitwig Studio preset pack. The pack comes with organic pulses and arpeggios oozing with grit and flavour. Rytmica is an excellent songwriting tool. Importantly, you can use these presets as song starters to inspire your songwriting. Firstly, the Rytmica patches are not just ordinary arpeggios! These are carefully crafted device chains to introduce percussive flams and a more natural playing. 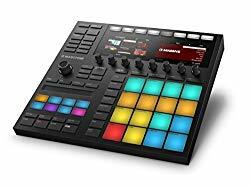 Secondly, since they are based on the arpeggiator of Bitwig they will work with a wide tempo span. In conclusion Rytmica can be your pillar and foundation for your next epic hit track. 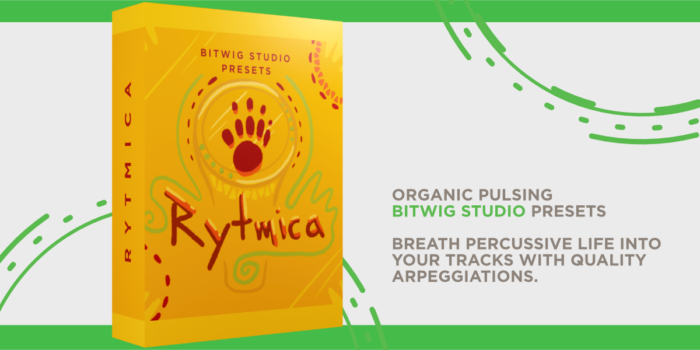 Rytmica – Preset pack demo and walkthrough in Bitwig Studio. Give your tracks some rhythmical love today! In the pack you find rhythmical acoustic pulses from instruments like acoustic guitar mutes, thin stick shakers, calling the Phantom, flute, bowl, lightbulb, thunder bass (saturated bass) and much more of these unique and playful patches. Every patch is carefully crafted to bring more to the table than your regular static percussion samples or patches. Since the sampler of Bitwig offers many nice features like round robin, we sampled multiple variations of many of the sound sources to give each preset a more alive feeling. Just listen to some gritty presets like; Calling the Phantom, ThunderBass or the BatarangArp featured in the demo video of Rytmica. The presets all come with macro pages setup for your convenience and most of them also gives you instant dynamic control with the mod wheel (CC1). The mod wheel controls anything from grit / saturation, filter sweeps, pitch drift or reverb wash. The perfect companion to your Bitwig Studio 2.5 (minimum) installation. +45 Presets, mainly Sampler presets (see manual for more details). – BITWIG STUDIO 2.5 (minimum). Want to learn more about working in Bitwig Studio, we have plenty of Bitwig Studio tutorials for both Bitwig noobs and more advanced Bitwig users. 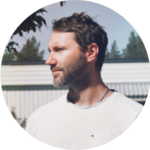 Mattias Holmgren is a creative director sailing from Sweden – business owner of Morningdew Media. Visit Mattias YouTube with informative videos on music, design, art, creative sound design and brand development. 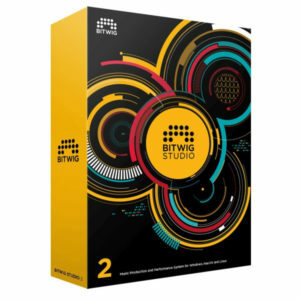 Get Bitwig Studio 2 – Affiliate link. What gear I use in the studio? Check out the Resources Page. Be sure to sign up to our newsletter for new exciting articles in design, music production and sound design.